Let’s start with what it is. For those that are looking for a definition of Latent Semantic Indexing, click the link and see what Wikipedia has to say about it. For our purposes here, LSI is the process of finding search queries or concept searches that are found from a group of text that are similar to a specific search. So what that means is, it is a way for you to find similar search terms based on a keyword that you specify. LSI lets search engines determine what a page is all about, “outside” of the specific keywords. 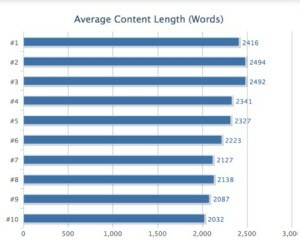 I’m sure you are all familiar with the term “long tail keywords” by now, and it can be very useful. LSI is very similar in concept to long tail keywords because it generates keywords that are relevant and possibly less competitive so that you can rank for more terms. Why is LSI important to niche sites? When building niche sites, you want to make sure you rank in search engines. This is clearly goal number 1, as without organic traffic, you can’t possibly hope to make any money long term… at least not passive income. Using LSI helps you with your writing. It allows you to write about the topic, without having to use the exact same keyword 100 times throughout your article. This is important for 2 reasons. First, anyone familiar with your niche topic will likely be familiar with other terms surrounding the niche. Second, the search engines will be crawling your content to make sure you are using LSI keywords also! Lets look at an example. If you wanted to create a niche site about muscle cars and were writing an article, it would help you to call muscle cars other things like: autos, automobiles, vehicles hot rods, cars, etc. After all, calling them muscle cars 50 times in an article is not only annoying to readers, but it would look like keyword stuffing to search engines, which is bad seo! It is also beneficial to be familiar with LSI keywords because it will give you ideas for other article topics. A great website to help you with this process is lsikeywords.com. All you have to do is type in a keyword and it will search the top 5 results in big G. It then produces a listing of search queries that are similar to your keyword. It is also nice because it offers up 1 word, 2 word and 3 word queries so you have plenty of variations. Now, obviously this is just an idea starter… most of these queries are found from text on other websites, and it doesn’t automatically make it relevant. As always, use your best judgement. Another great benefit is the ability to use this with your anchor text when link building. The last thing you want to do is use the same anchor text for all your links. Having other keywords that are similar for your niche will be beneficial to use in your links. It also provides an alternative to using exact match domains if you want. As always, thanks for reading. Hope you found this to be helpful. Please leave a comment below about what helps you with the writing process.